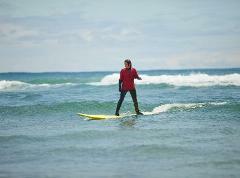 Learn the basics in our 3 hour group surf lesson! We provide the gear, water, a small snack and a ride to the beach in our surf bus. All you have to do is show up, bring a towel and your swimsuit! 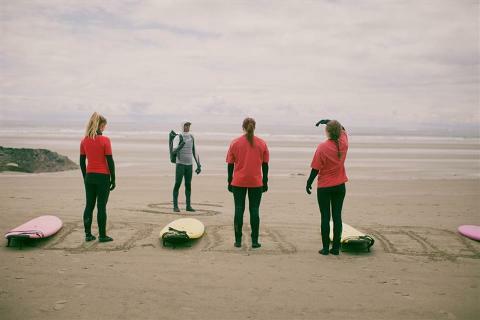 We go over everything from suiting up, safety, surf etiquette, popping up, paddling out, reading the waves, and riding them in! 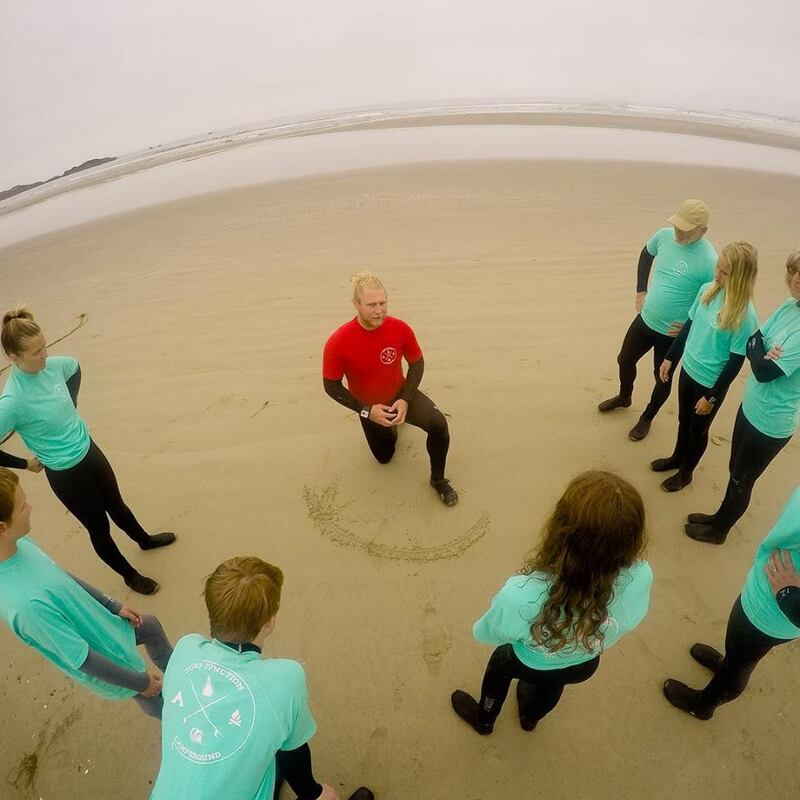 Our surf instructors are experienced surfers and have their Bronze Cross and Bronze Medallion certifications and our instructor to student ratio is always 1 instructor to 6 students. 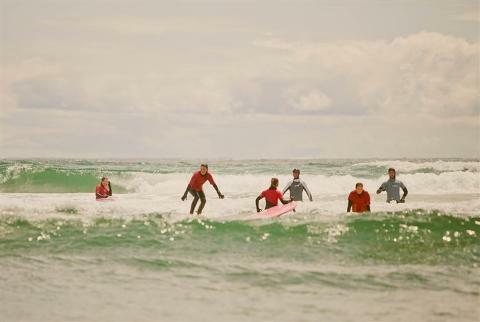 The group lessons are perfect for beginners who have never been surfing before or just need a basic refresher course. Ages 12 and up starting June 1st. Before June 1st, kids 5+ can take the group lesson.